Atlanta, GA – July 17, 2018 – After a successful weekend event at Dixie Speedway near Atlanta, Georgia last weekend, the United Sprint Car Series presented by K&N Filters 22nd annual Outlaw Thunder Tour “rocks on” this coming weekend as the headliners of the 5th annual Joe and Jim McLain Summer Sprint Classic double-header. Both nights are set for competition at two speedways in the Charlotte, North Carolina metro area less than one hour apart. The Nationally prominent winged sprint car series visits the familiar confines of the Carolina Speedway 3/8-mile clay oval in Gastonia, North Carolina for Round #1 of the Joe and Jim Summer Sprint Classic on Friday, July 20th. On the following night, Saturday, July 21st, the USCS sprint car drivers then headline racing action in the USCS Sizzlin’ Summer Speed Spectacular at the historic Lancaster Speedway one-half mile clay oval in Lancaster, South Carolina. With Round #2 of the Joe and Jim McLain Summer Sprint Classic. Each event pays over $2200 to the winner with over $4500 possible for a sweep of the main event on both nights. Entries from seven or more states are expected for both nights that include drivers from as far away as Arkansas and Florida. The USCS sprint cars are joined on the busy racing card by a full program of stock car racing each night as well, to create two action-packed nights of dirt oval track racing action. Spectator grandstand gates open each night at 5:00 p.m. and racing kicks off after hot laps at 8:00 p.m. each night. 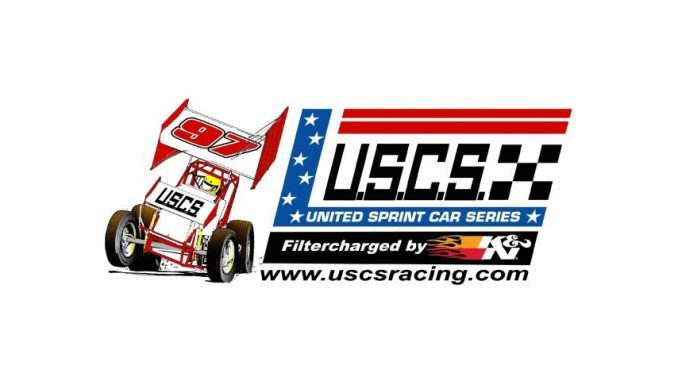 For updated schedules, rules and more for the United Sprint Car Series please visit www.uscsracing.com or call 770-865-6097. For info and directions to and more information about Carolina Speedway please visit www.carolinaspeedway.net Additionally for information about Lancaster Speedway please check out their websat Carolina Speedway on Friday night nd ite at www.lancastersuperspeedway.com Both speedways also have pages on Facebook as does the USCS..